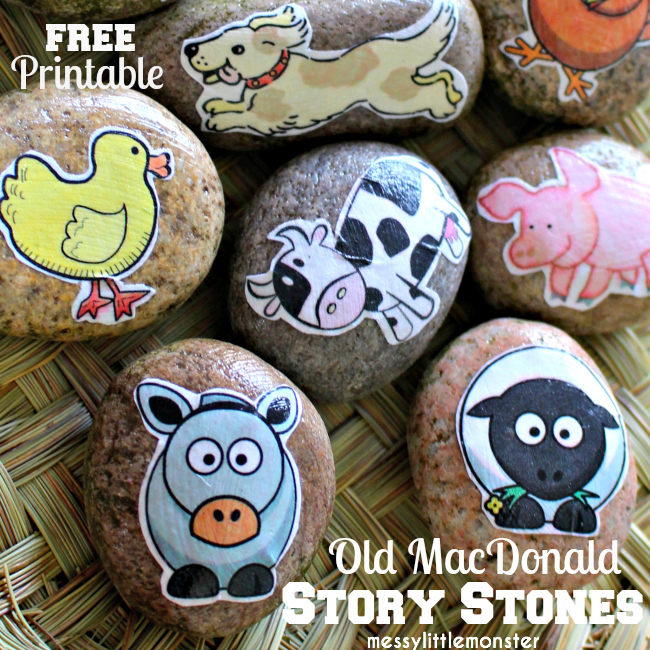 Make farm animal story stones to accompany the popular nursery rhyme 'Old MacDonald had a Farm'. 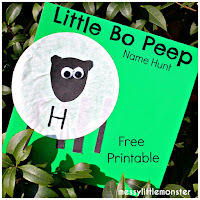 Print off the free printable farm animals, stick them to stones and use them to help toddlers and preschoolers choose which animal to sing about in the nursery rhyme or to help them make up simple farmyard stories. 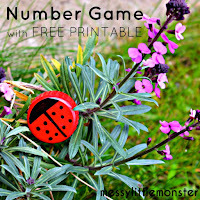 Download and print out the animal pictures. Cut out the animals. Put a splodge of mod podge onto a stone and place one of the animal pictures on top. Spread the mod podge over the picture and continue to the edge of the stone. 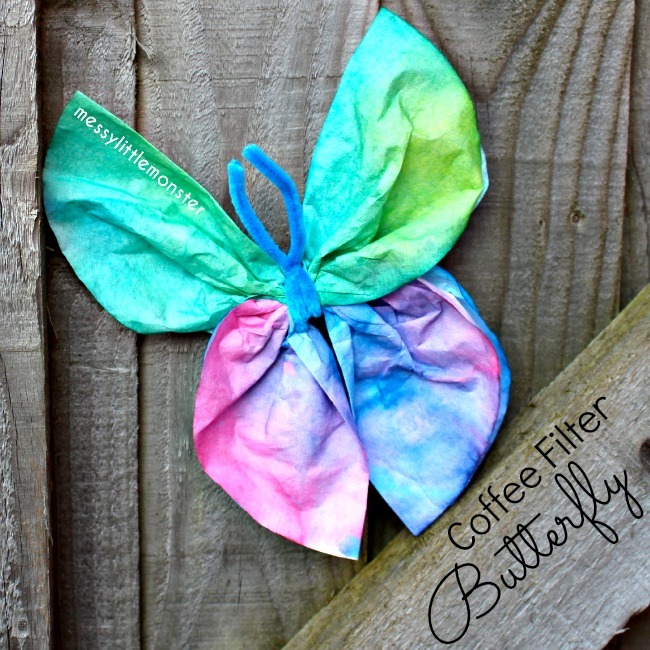 Wipe off any excess mod podge and leave it to dry. Repeat for each image. 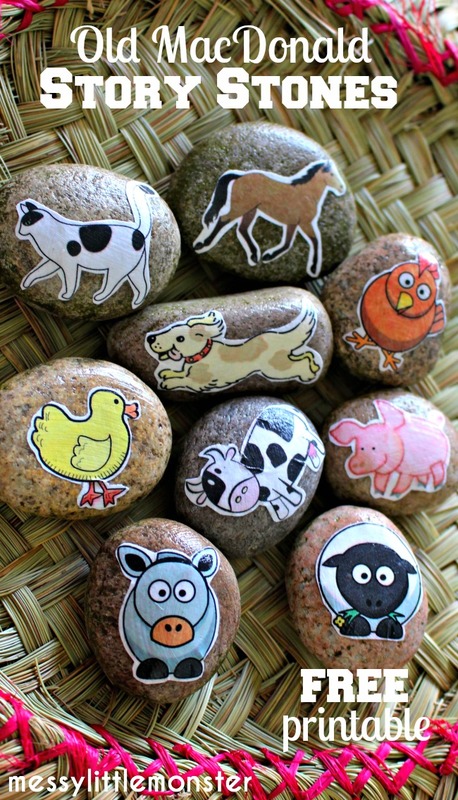 There are so many ways that these animal story stones can be used. Here are a few ideas. Put the story stones in a bag or basket. Take one out at a time as you sing 'Old MacDonald' to decide which animal to sing about next. 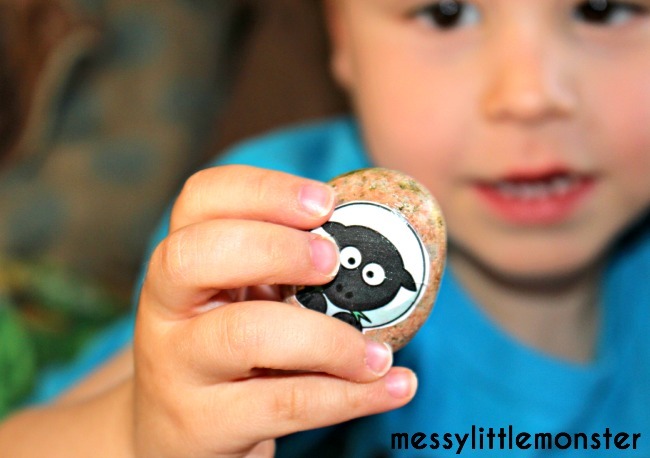 Make up simple farmyard stories using the stone animals as characters. 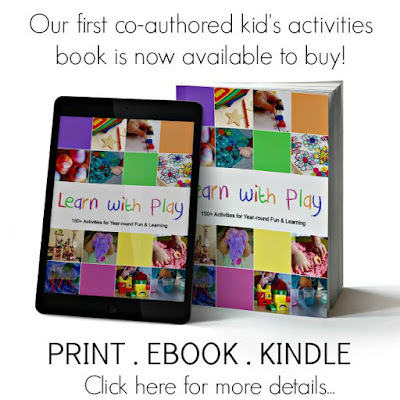 Older children will love making up their own stories. 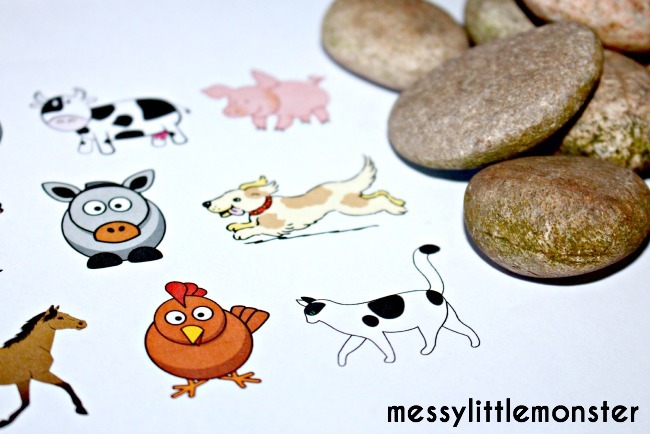 Set up a farmyard small world and use the stones as farm animals to play with. 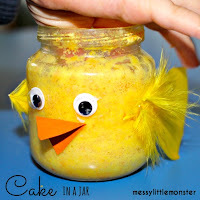 Put the stones in a sensory bin for toddlers to find and ask them what the animals are/ what noise they make. Make 2 sets of stone animals and play matching games. 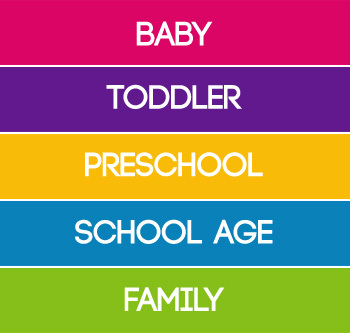 To download these pictures for FREE type in $0 and click on the 'I want this' box below. It may take a moment for the page to load so please be patient. 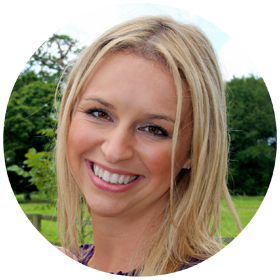 Check out these 'Old MacDonald had a Farm' inspired ideas from other bloggers.